Create a challenge by adding variation to pullups, bodyweight tricep extensions, bodyweight rows, and many more exercises to give your forearms a burn to remember! - An improvement on old school towel or curtain pull ups. - Steel 2" diameter cylinders. 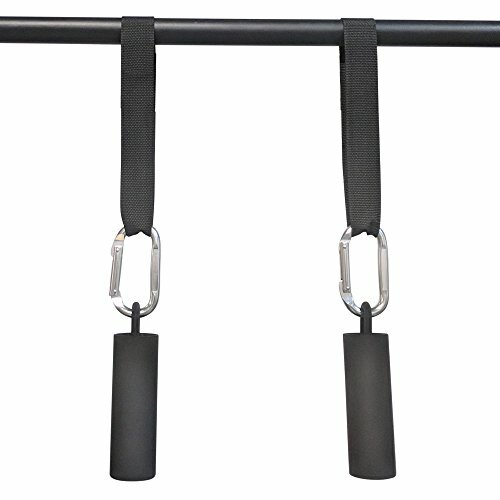 - Carabiners included | Clip onto a Rack or Pull up station OR for modified exercises. - A challenging accessory that will add to your routine. - Includes a pair of: 2" tubes, carabiners, straps. - Total Height w/ Strap and Carabiner: 20.5"
An improvement on old school towel or curtain pull ups. Targets grip strength | Vertical neutral grip shreds forearms. Carabiners included | Clip onto a Rack or Pull up station OR for modified exercises. A challenging accessory that will add to your routine.